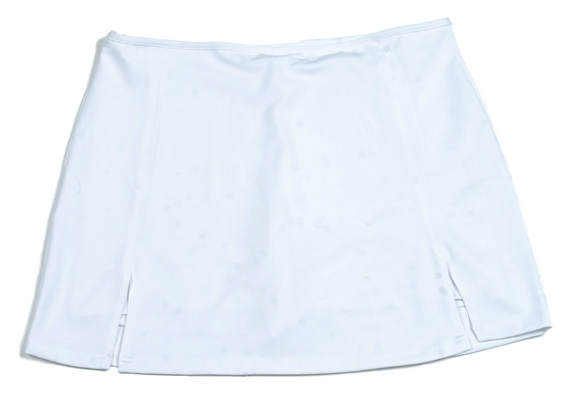 The relaxed fit of this lovely tennis skort makes it easy to look at and easy to wear! The soft fabric is incredibly comfortable and it drapes beautifully. It has built in matching undershorts and because the fabric is so fine you can wear our skorts over tracksuit bottoms for those days when the weather can't make up its mind - shorts underneath, skirt over the top. Designed to be worn just below the waist, and has two side slits for ease of movement.